We love using Dermalogica facial products in our bespoke facial treatments at Cheltenham Reflexology and Massage. All of our holistic therapy and beauty therapy treatments are unique as we pride ourselves on designing each treatment to the needs of whoever walks through our door. 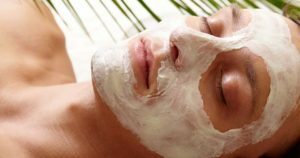 So what’s so special about the Dermalogica facials we offer in Cheltenham? We use products that are scientifically designed with specific purposes in mind. We choose from five cleansers alone and at least the same number of moisturisers. We also offer a high level of exfoliation with our skin peels. These encourage a skin healing response, creating skin call regeneration, increased collagen and brighter and fresher looking skin. If you or your child would like to improve their skin, we can help. Contact us on 01242 255440 or pop in to 1 St Margaret’s Terrace, Cheltenham, Gloucestershire, GL50 4DT.